The higher the percentage of insured patients in your practice, the more care clients will approve and the healthier your clinic will be financially. Veterinarians and consultants have begun to understand that the most productive method to counteract the limitations of client discretionary cash is to increase the number of insured pets. Management consultants generally agree that establishing and monitoring meaningful metrics is a vital tool for business success. One of the more valuable metrics for veterinarians is the practice insurance quotient, or practice IQ, which represents the percentage of insured pets in the hospital’s active-patient database. Companion animal medicine is unique as a medical science because all elements of the industry and profession depend on the discretionary cash of pet owners to pay for the veterinary services, pharmaceuticals, hospitalizations and physical therapies necessary to keep pets healthy. Compared to human medicine, where over 90 percent of patients are insured, and dental medicine, where, depending on patient age, the percentage ranges from 40 to 90, the rate of insured pets hovers around 1 to 2 percent. As the cost of providing quality medical care to pets has increased, their owners’ personal incomes have remained relatively stagnant or diminished. As a result, the gap between the cost to provide medical care for pets and the ability of owners to pay those costs is creating noticeable economic limitations for the profession. 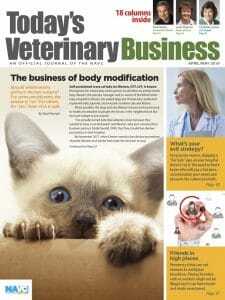 In the past decade, veterinarians and consultants have begun to understand that the most productive method to counteract the limitations of client discretionary cash is to increase the number of insured pets. This is best accomplished by veterinarians proactively recommending to pet owners that they insure the health of their pets. Insured pets provide peace of mind to the owner, who knows that insurance will help pay for necessary or catastrophic medical expenses. Veterinarians benefit, too, from increased compliance and revenue as well as reduced requests for economic euthanasia. In short, the practice IQ is increasingly being recognized as a valuable metric that is a strong indicator of the health of a practice. 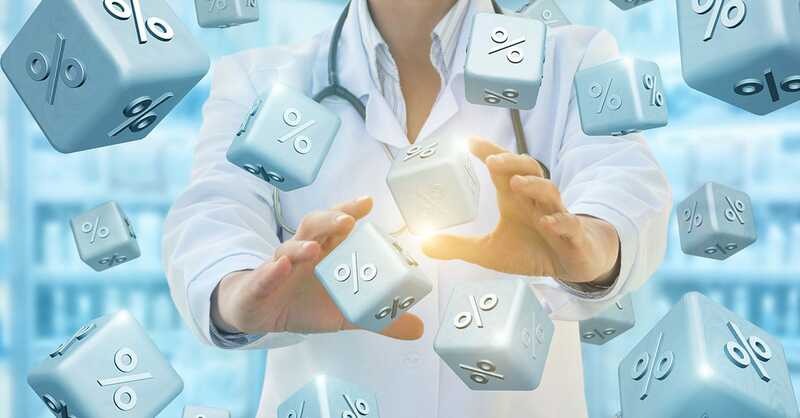 To create the IQ metric, first establish a unique one-character field in the patient database that is labeled “Insured (Y) or (N).” For practices utilizing a computer to check in patients, the “insured” field should be included on the check-in screen. A variation of the single-character screen might include a second screen for listing the insurance carrier name. The next step is to establish a search for the total number of “Y” entries and compare that number with the total number of active patients. You then can easily calculate the percentage of insured pets in the active-patient database. The IQ metric should be calculated monthly and, if practice staff are proactive in recommending pet health insurance to clients, the IQ should show a steady increase. If the metric is either stagnant or slow to increase, the techniques used by the practice team to encourage enrollments need to be reviewed or altered. Updating the patient database requires dedicated participation by the reception staff and the support of all veterinarians and staff members. The method utilized should mimic the technique of every human medical office. The first question in a veterinary practice assumes the pet is insured, so the insurance carrier’s name is requested. The second question verifies the owner’s address, phone number and email address. A “no” response to pet health insurance provides an excellent opportunity to discuss its importance and the peace of mind it would give the owner. The best individuals to help clients understand the importance of pet health insurance are hospital team members whose pets are covered. Practices that are effective in growing their IQ metric provide insurance as an employee benefit. Insuring staff pets creates a cultural buy-in that supports efforts to grow the IQ metric. When the entire staff has personal experience with the value of pet health insurance, the meaning and value of the IQ metric to both the practice and pet owner become a value to be shared with clients. The concept of effective frequency, or the number of times a person must be exposed to a message before a response occurs and before the exposure is considered wasteful, will help hospital staff understand the importance of their participation. 1. Puppy or kitten orientation is the best time to introduce the value of pet health insurance. While the first encounter with a young patient and eager owners is filled with instructions and other information, insurance is important to emphasize. Puppyhood and kittenhood are periods in which the pet is most fragile and susceptible to injury or health problems associated with the young animal’s inquisitive nature. Remember that insurers do not cover pre-existing conditions, so having protective insurance in place before the first medical event is important. A hospital-prepared brochure and an insurance carrier brochure are valuable references to send home with the pet owner. 2. The receptionist is the first person to greet the client and inquire whether a new patient is insured. The doctor or veterinary nurse providing follow-up visits with the new puppy or kitten can ask the same question. These are good opportunities to stress the importance of insurance protection. 3. At the conclusion of medically related visits by mature patients, the veterinarian should ask if the owner needs assistance with an insurance claim form. If the pet is not insured, now is the time to remind the client that the medical services provided during that visit likely would have been covered. 4. Place an obvious, direct link explaining the importance of pet health insurance on the practice website’s home page. The information provided can be the same as in the client handout prepared for puppy and kitten orientations. If the practice recommends one or two insurers, provide links to the company websites. 5. Hospital newsletters or blogs are good places to share stories about clients who benefited from pet health insurance. Most veterinarians form their insurance provider preferences based on personal experience and favorable reports from clients. Certainly, insurance company representatives play a part in developing confidence in a provider or policy. What’s important is to step back from your previous opinions about a company and take a fresh look. Almost all policies today share the medical cost risk with the pet owner through deductibles, co-insurance and annual limits. The higher the deductible and co-pay selected, the lower the monthly premiums. Companies have similar coverage restrictions, and none cover pre-existing conditions. The goal is to choose the insurer and policy that provide the best value — the most coverage for the lowest premium — to pet owners in your area. 1. Using company websites, check the premiums for a 3-year-old dog and a 3-year-old domestic shorthair cat in your practice’s ZIP code. Select the very best coverage offered (unlimited annual benefits), a deductible of $200 to $250 and co-insurance of 10 percent. Select six to eight companies and chart your results. Avoid pricing policies that include wellness benefits because mixing accident or illness premiums with wellness coverage tends to confuse the true purpose of insurance. Remember, insurance is not an investment. Paying a pet insurance premium is purchasing peace of mind, just like with automobile collision insurance. 2. Evaluate the claims submission requirements. Most pet insurers process claims quickly, and pet owners receive checks within 10 days. While many clients can manage the requirement of paying in full at checkout, some will have difficulty. The newest technology allows claims to be submitted at checkout and the resulting benefit amount deposited directly into the hospital’s bank account. This technology reduces the amount that must collected from the client. Also available from some companies is claims submissions from the client’s cell phone. 3. Confirm whether an insurance company will preapprove a claim based on an estimate of charges for recommended medical services. Pet owners who receive preapproval make faster decisions. 4. Lastly, while pet insurance policies can be very similar, a few differences should be explored. Policy waiting periods, coverage for dental accidents versus dental illness, and understanding the difference between annual or “per incident” deductibles are important. Most policies include benefits for physical therapy, but others might require an additional premium. Also, some companies don’t cover veterinary exam fees. This exclusion could substantially increase the true amount of the initial deductible that the policyholder is required to pay for each accident or illness. Studies have well-documented the basic benefits of pet health insurance. Owners whose discretionary cash is supplemented by insurance benefits are more proactive in making sure their pets receive the best medical care and without delay. They worry much less about the affordability of pet care. Veterinarians who track and work to grow their IQ metric report a significant variety of practice benefits. Practice manager George Bailey of Stratham-Newfields Veterinary Hospital in New Hampshire reported that nearly 40 percent of the clinic’s active patients are insured. He is a proponent of companies that supply the technical capability to provide preapprovals and submit claims at checkout time. The practice IQ metric, properly administered, has outstanding potential to maximize practice revenue, ensure quality treatment standards and reduce ethics exhaustion. Pet health insurance is the ultimate protector of the human-animal bond and provides peace of mind for pet owners, veterinarians and team members. Dr. Kent A. Kruse founded Care Hospital for Animals in Oshkosh, Wisconsin, and was a co-founder of ImproMed.